Why aren't more companies importing or exporting? Is it because they're short-sighted? Is it because they're lazy? Is it because they lack incentives? Or is it because they don't know how to start? In 2014, the United States exported an all-time record of $2.34 trillion worth of goods and services. These known exports equaled the entire gross domestic product of Brazil and exceeded all commercial output in Mexico, Italy, and India. 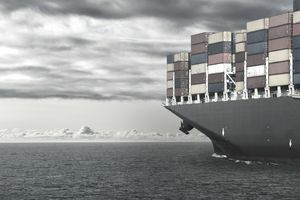 Exports are an increasingly important aspect of the U.S. economy by way of creating jobs, being more productive businesses and paying employees healthier salaries. SMEs, which are firms with fewer than 500 employees, accounted for 98 percent of the number of U.S. exporters in 2013 and they continue to be a critical driver for economic growth. That said, exports support economic recovery. Imports, on the other hand, are essential to economic well-being or tend to be highly attractive to consumers but are not available in the domestic market. As consumers, we love variety and options and the United States is not 100% self-sufficient. Goods or services that satisfy domestic needs or wants can be produced more inexpensively or efficiently by other countries, and therefore sold at lower prices. Hence, why we import. How do you jump on board and begin importing or exporting? Here's an example. Imagine selling a shipment of scarves in Ireland for $2 apiece that cost 25 cents apiece to manufacture in Korea, and all you needed to do was travel to Ireland and make the sale. You'd do it, wouldn't you? If you received an inquiry from Africa requesting a price quote for one million Cisco-compatible computer software disks, wouldn't you respond? If you were looking for an exciting, challenging and rewarding position as an "import/export manager," wouldn't you want the knowledge to land the job? Enhancing your image in the world marketplace. Generating economies of scale in production. Broadening your own intellectual horizons. Insulating seasonal domestic sales by finding new foreign markets. Improving your return on investments. Traveling to places you've never been before. The “cool” factor (“hey, I’m global!”). If these incentives aren't enough, how about survival pure and simple? Business is about beating the competition or keeping up at the very least, and these days you've got a lot more to worry about than the competing business on the other side of town. No matter what your product or service, you've got competitors all over the world, and more and more of them are managing worldwide operations. The best—maybe even the only—way to stay competitive with this new breed of import/export business managers is to become one yourself. Furthermore, consider how your business helps fuel your country's economic engine. If you and other business owners fail to keep pace with the changing world and import/export, that engine will run out of steam. Then where will you be?